Draft: 2007, Washington Nationals, 1st rd. October 5, 2018 LHP Ross Detwiler elected free agency. August 24, 2018 Seattle Mariners sent LHP Ross Detwiler outright to Tacoma Rainiers. August 22, 2018 Seattle Mariners designated LHP Ross Detwiler for assignment. August 21, 2018 Seattle Mariners selected the contract of LHP Ross Detwiler from Tacoma Rainiers. June 2, 2018 Seattle Mariners signed free agent LHP Ross Detwiler to a minor league contract. June 2, 2018 LHP Ross Detwiler assigned to Tacoma Rainiers. July 17, 2017 Iowa Cubs released LHP Ross Detwiler. June 23, 2017 LHP Ross Detwiler assigned to Iowa Cubs from Tennessee Smokies. June 7, 2017 Chicago Cubs signed free agent LHP Ross Detwiler to a minor league contract. June 7, 2017 LHP Ross Detwiler assigned to Tennessee Smokies. May 15, 2017 Nashville Sounds released LHP Ross Detwiler. April 1, 2017 Oakland Athletics signed free agent LHP Ross Detwiler to a minor league contract. April 1, 2017 LHP Ross Detwiler assigned to Nashville Sounds. March 26, 2017 LHP Ross Detwiler elected free agency. January 18, 2017 Oakland Athletics signed free agent LHP Ross Detwiler to a minor league contract and invited him to spring training. January 18, 2017 LHP Ross Detwiler assigned to Nashville Sounds. November 3, 2016 LHP Ross Detwiler elected free agency. August 10, 2016 Oakland Athletics selected the contract of LHP Ross Detwiler from Nashville Sounds. July 17, 2016 Cleveland Indians traded LHP Ross Detwiler to Oakland Athletics for cash. July 17, 2016 LHP Ross Detwiler assigned to Nashville Sounds from Oakland Athletics. July 14, 2016 Columbus Clippers placed LHP Ross Detwiler on the temporarily inactive list. July 8, 2016 Columbus Clippers activated LHP Ross Detwiler from the temporarily inactive list. June 30, 2016 Columbus Clippers placed LHP Ross Detwiler on the temporarily inactive list. May 1, 2016 Cleveland Indians sent LHP Ross Detwiler outright to Columbus Clippers. April 29, 2016 Cleveland Indians designated LHP Ross Detwiler for assignment. April 3, 2016 Cleveland Indians selected the contract of LHP Ross Detwiler from Columbus Clippers. 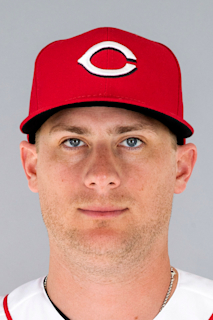 December 23, 2015 LHP Ross Detwiler assigned to Columbus Clippers. December 22, 2015 Cleveland Indians signed free agent LHP Ross Detwiler to a minor league contract and invited him to spring training. November 2, 2015 LHP Ross Detwiler elected free agency. July 17, 2015 Atlanta Braves signed free agent LHP Ross Detwiler. July 15, 2015 Texas Rangers released LHP Ross Detwiler. July 11, 2015 Texas Rangers designated LHP Ross Detwiler for assignment. June 4, 2015 Texas Rangers activated LHP Ross Detwiler from the 15-day disabled list. May 30, 2015 Texas Rangers sent LHP Ross Detwiler on a rehab assignment to Frisco RoughRiders. December 12, 2014 Washington Nationals traded LHP Ross Detwiler to Texas Rangers for 2B Christopher Bostick and RHP Abel De Los Santos. October 13, 2014 Washington Nationals activated LHP Ross Detwiler. October 3, 2014 Washington Nationals reassigned LHP Ross Detwiler to the minor leagues. November 4, 2013 Washington Nationals activated LHP Ross Detwiler from the 60-day disabled list. August 6, 2013 Washington Nationals transferred LHP Ross Detwiler from the 15-day disabled list to the 60-day disabled list. Herniated disc in his lower back. July 7, 2013 Washington Nationals placed LHP Ross Detwiler on the 15-day disabled list retroactive to July 4, 2013. Low back strain. June 13, 2013 Washington Nationals activated LHP Ross Detwiler from the 15-day disabled list. June 8, 2013 Washington Nationals sent LHP Ross Detwiler on a rehab assignment to Potomac Nationals. May 26, 2013 Washington Nationals placed LHP Ross Detwiler on the 15-day disabled list retroactive to May 16, 2013. Right oblique strain. July 5, 2011 Washington Nationals recalled LHP Ross Detwiler from Syracuse Chiefs. March 28, 2011 Washington Nationals optioned Ross Detwiler to Syracuse Chiefs. September 7, 2010 Ross Detwiler roster status changed by Washington Nationals. September 1, 2010 Potomac Nationals sent LHP Ross Detwiler on a rehab assignment to Syracuse Chiefs. August 28, 2010 Ross Detwiler assigned to Potomac Nationals. July 25, 2010 Washington Nationals recalled LHP Ross Detwiler from Harrisburg Senators. June 21, 2010 Washington Nationals optioned Ross Detwiler to Harrisburg Senators. June 12, 2010 Potomac Nationals sent LHP Ross Detwiler on a rehab assignment to Harrisburg Senators. June 9, 2010 sent LHP Ross Detwiler on a rehab assignment to Potomac Nationals. April 4, 2010 Ross Detwiler roster status changed by Washington Nationals. September 8, 2009 Washington Nationals recalled Ross Detwiler from Syracuse Chiefs. July 13, 2009 Washington Nationals optioned Ross Detwiler to Syracuse Chiefs. May 17, 2009 Washington Nationals recalled Ross Detwiler from Harrisburg Senators. July 6, 2007 Washington Nationals signed LHP Ross Detwiler.